We start with an audit of your current strategy, team, and brand. By focusing on existing frameworks and processes, we can generate valuable insights that guide our results-driven strategies. We learn about what’s working and what’s not, what makes your team tick, what sets you apart from your competition, and what your customers are looking for. This data gives us the foundation we need to make recommendations that add value and have the potential to transform your company and increase your bottom line. Your team is the foundation of everything you do and the key to success. 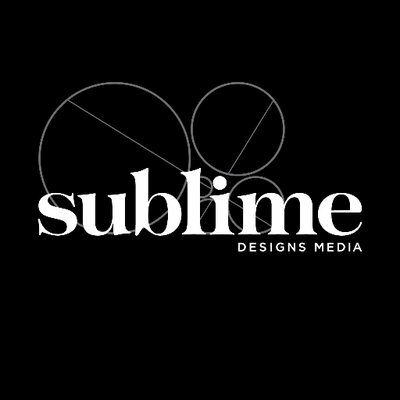 Sublime Designs Media will support your existing team by adding to it, not replacing or eliminating it. All of our solutions are implemented and maintained by your team so so they are empowered to take the lead. Change isn’t easy for anyone, which is why we leverage our experience in change management to help your team buy into and adapt new processes and strategies. Clear communication between team members can make or break your marketing operations. We work with your team to see where work is being done in silos and where communication is breaking down. By working through these issues, we bring your team into alignment and position them for success. A successful brand is more than just your logo. It also includes your messaging — the way you talk about your products, services, and company, and even the way your customer service reps answer the phone. We help you come up with a strategic approach to voice, tone, style, and more to ensure you have a cohesive brand that shines with personality. Your brand will stand out from the competition if it is both professional and distinct. Creating customer experiences that are beautiful and memorable builds lasting brand loyalty and engagement. The marketplace is full of products and services. You need to define your position in the competitive landscape to create traction with your target audience and build brand loyalty. This means getting clear on what you offer, why your customer needs it, and what your competitive advantage is over other companies. Your strategy needs to be creative and reach out of the box to ensure your company stands out in a crowd. Sublime’s fresh approach to strategy will propel you ahead and give you the edge you need to succeed. A good strategy will use data to guide your decisions at every step of the way — from planning to optimization. Your customers should be at the center of everything you do and because of that, they are at the center of everything we do. A successful strategy will take advantage of multiple channels to target your demographic in as many ways as possible — whether a booth at a tradeshow, social media posts, or a printed ad.